Pastor (Mrs.) Nomthi Odukoya is the Associate Senior Pastor of The Fountain of Life Church, Lagos, Nigeria where she Pastors with her husband Pastor Taiwo Odukoya. She is the author of the fast selling children books, “No! Don’t touch me there”, “A bully is not a hero”, “Help! They are fighting again”, “Boys and girls are different but equal”, and “Children saving the planet”. These books empower children to confront any form of abuse or social ills. 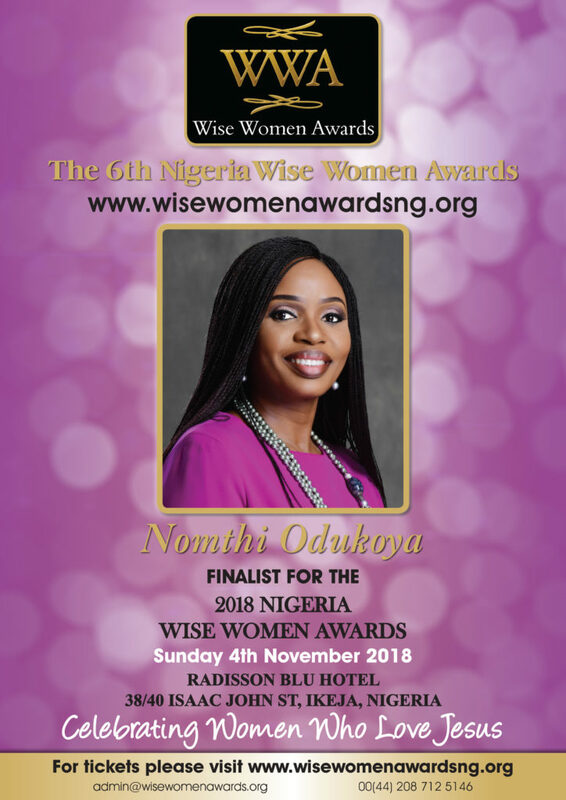 She is also the Founder and Chairperson of Funda Wazi Foundation, a non-profit organization committed to providing child friendly resources (especially to the less privileged communities), trainings and advocacies to educate and protect children from abuse. The foundation organizes forums that bring key stakeholders, together to address critical social issues affecting children and advocate the promotion of awareness on child abuse, neglect and other forms of violence.